Calling active kids that want to join in a fun competition, stay fit and learn new skills! Post-race festivites and an award ceremony. 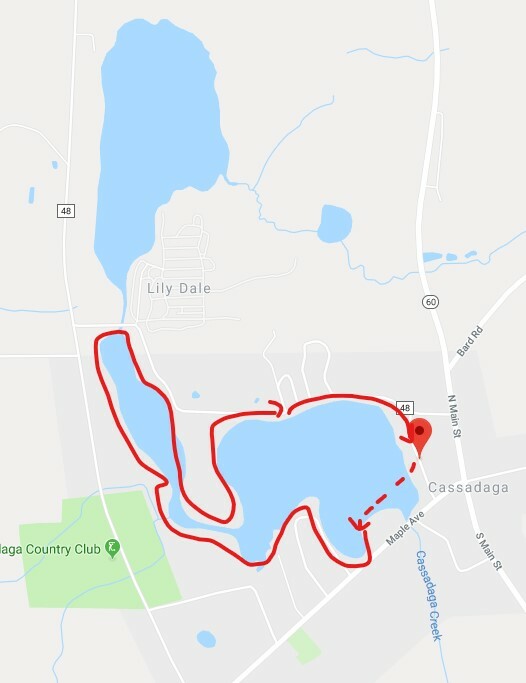 Swim in beautiful Cassadaga Lake, cycle around the lake (all right hand turns, never crossing traffic) and run along Dale Drive next to the Lake. Parents are allowed to stay with their children during the race. One hour south of Buffalo and one hour north of Erie, PA. NYS Thruway,Exit 59, Dunkirk/Fredonia. Take NY Route 60 to Cassadaga, right at light on to Maple Ave. 1st right is Park Ave. Start/Finish Line. From I-86 take Exit 12, Jamestown. Follow Route 60 to Cassadaga. Left at light on to Maple Ave. 1st right is Park Ave. Parking is available first come first serve on Park Ave., the race site, additional parking is available across Maple Ave. at the Cassadaga Firemans grounds. We always need adult volunteers to assist! How was Cassadaga Kids Triathlon?